Dr. Steven Jones is the Associate Director and Head of Bioinformatics at the Canada’s Michael Smith Genome Sciences Center (GSC). He has led Genome Canada funded projects and has been involved in forestry related research, including the Tria Project, for more than 10 years. At the Sanger Institute, Dr. Jones was critically involved in the computational analysis of the C. elegans genome. The results of that project led to the discovery of the first complete genomic sequence of a multi-cellular organism. He then carried out first genomics analysis on a variety of other organisms including the Sea Squirt Ciona intestinalis, Drosophila melanogaster and Brugia malayi. In 2003, he was part of the team which derived the complete genomic sequence of the SARS coronavirus and also a novel avian influenza strain. Dr. Jones is still currently working on various cancer sequencing studies, including genomic studies of acute myeloid leukaemia, breast cancer, neuroblastoma, lymphomas, gastric cancer and thyroid cancer. 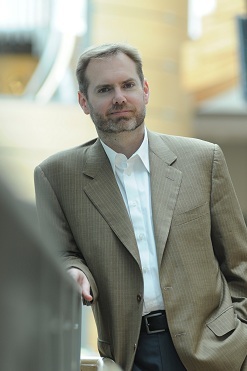 Dr. Jones will lead the bioinformatics activities by using his expertise in developing computational approaches to analyse genomic and transcriptomic data derived from next-generation DNA sequencing at Canada's Michael Smith Genome Sciences Centre.